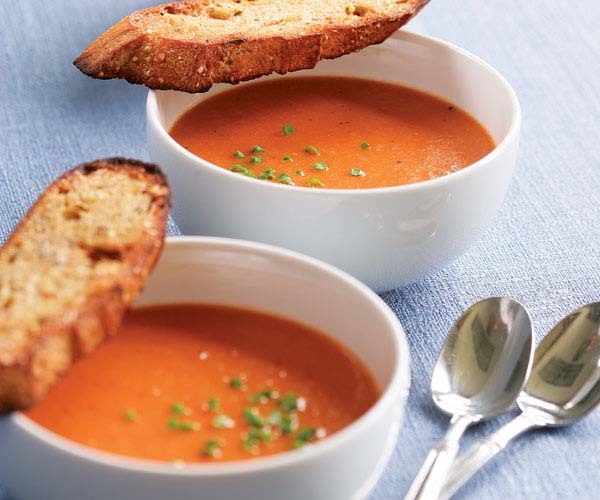 Silky tomato soup is like the little black dress of soups. Unadorned and paired with a grilled cheese sandwich, it’s a comforting lunch. Dressed up with simple garnishes, it makes a sophisticated start to a dinner party. In a nonreactive 5- to 6-quart Dutch oven, heat the oil and butter over medium-low heat until the butter melts. Add the onion and garlic and cook, stirring occasionally, until soft but not browned, about 8 minutes. Add the flour and stir to coat the onion and garlic.Add the broth, tomatoes, sugar, thyme, and 1/4 tsp. each salt and pepper. Bring to a simmer over medium-high heat while stirring the mixture to make sure that the flour is not sticking to the bottom of the pan. Reduce the heat to low, cover, and simmer for 40 minutes.Discard the thyme sprig. 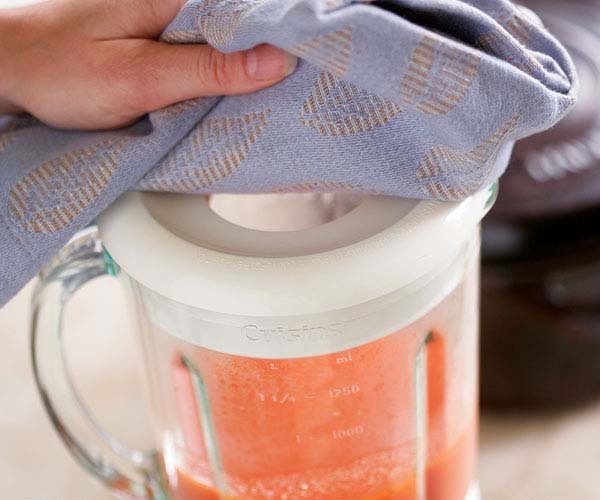 Let cool briefly and then purée in two or three batches in a blender or food processor. Rinse the pot and return the soup to the pot. Season to taste with salt and pepper. Reheat if necessary. Serve warm but not hot, garnished with the herbs or dolloped with one of the garnishes below. Excellent recipe, Thanks for share ! Made it in the Instant Pot and it came out great. Sauteed onions and garlic on sauté function, then stirred in the flour to coat. Dumped everything else into pot and manual pressure cooked for 15 minutes. Took out thyme and zapped the whole thing in the Instant Pot with. my stick blender. Love the possible add-ins too! Made some cheese quesadillas and fresh guacamole and had a great weeknight dinner! Great recipe! Exactly what you need on a winter day. 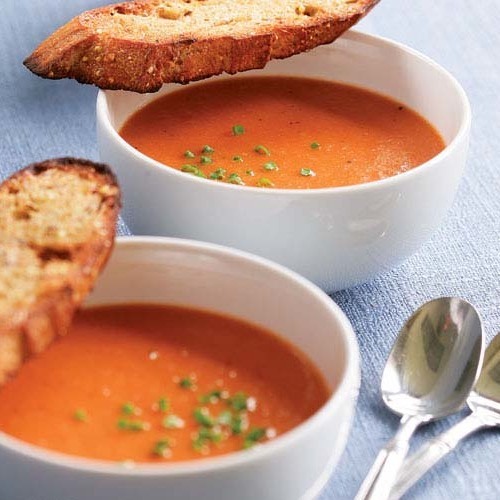 Well the best variant for me is to eat somewhere in Vegas, I just found a nice article about it https://best-vegas.com/blog/best-las-vegas-restaurants/ but for today soup is also a great idea.